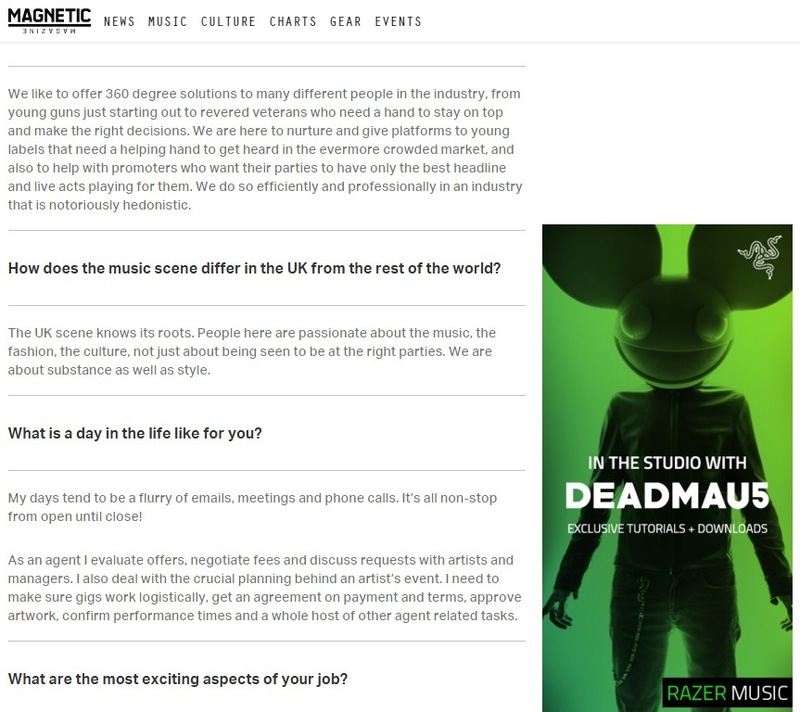 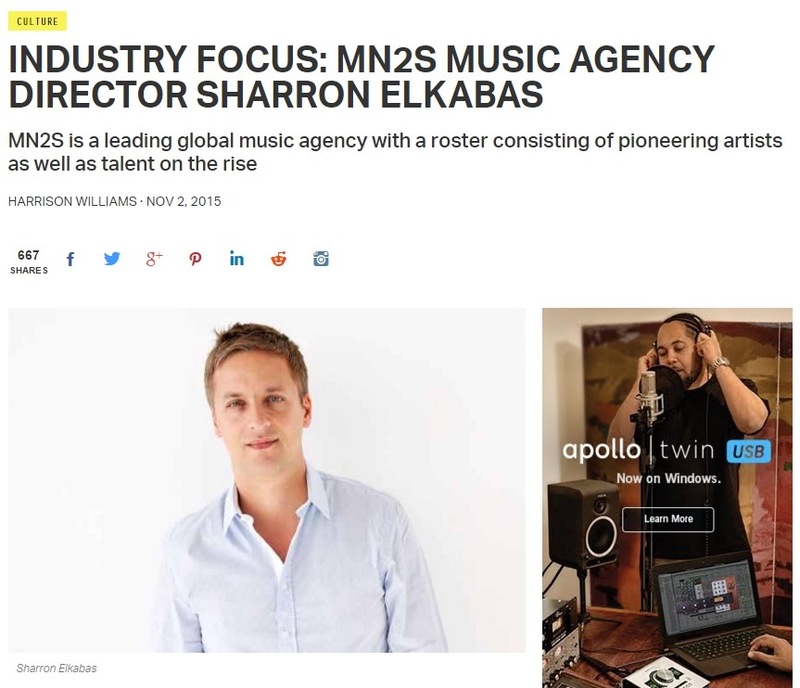 Sharron Elkabas, co-founder of leading music-industry agency, MN2S, was interviewed by leading dance portal, Magnetic Magazine, to mark its 20th anniversary in the music biz. 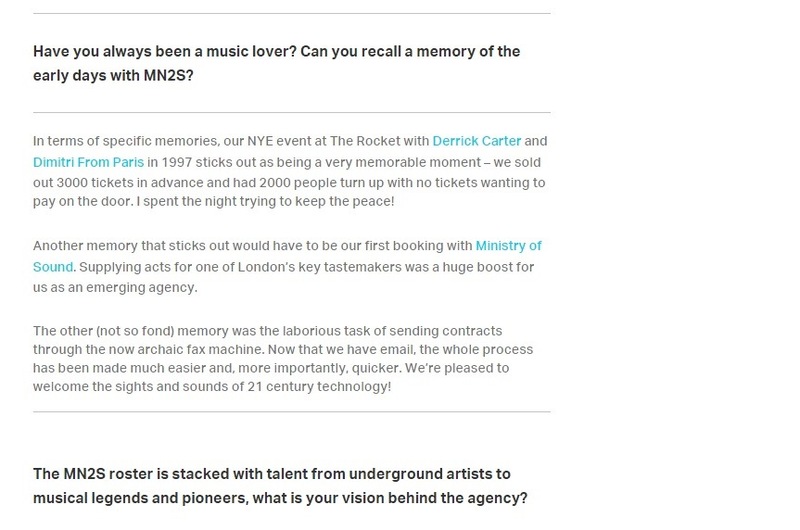 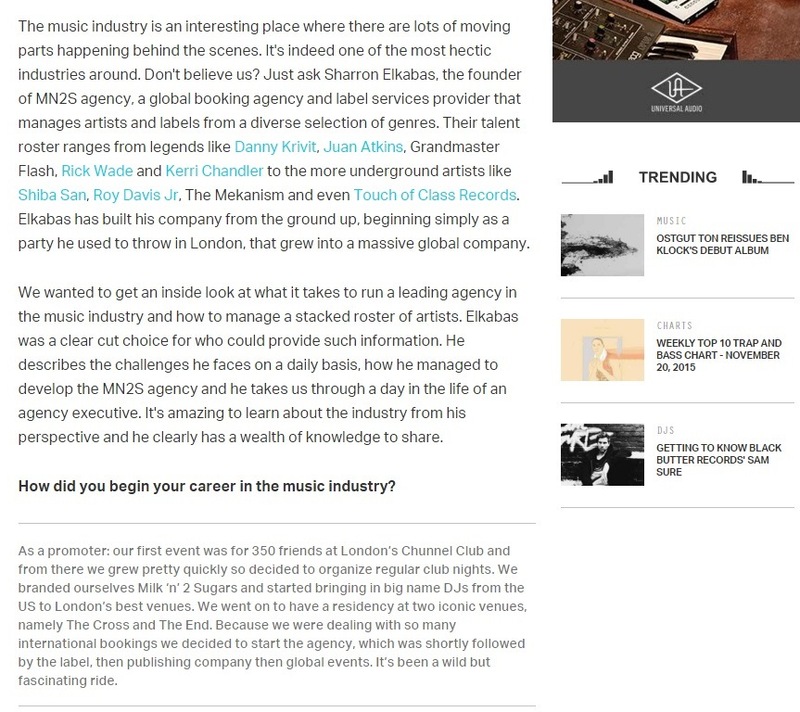 Sharron spoke on his vision behind the agency, the differing club scenes around the world, and challenges they face representing some of the world’s biggest artists. 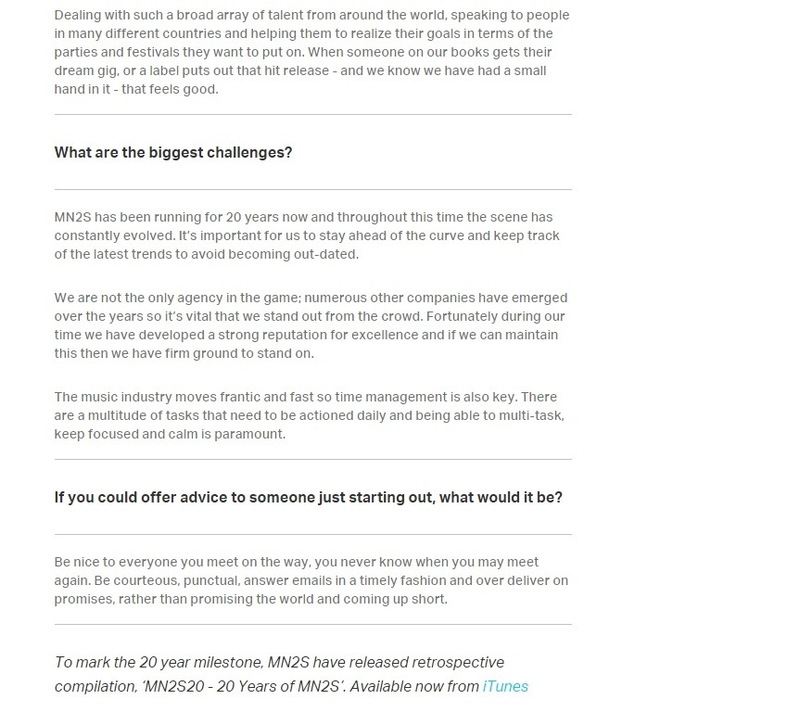 To read the interview in full as secured by Sliding Doors Publicity, click here or keep on scrollin’.